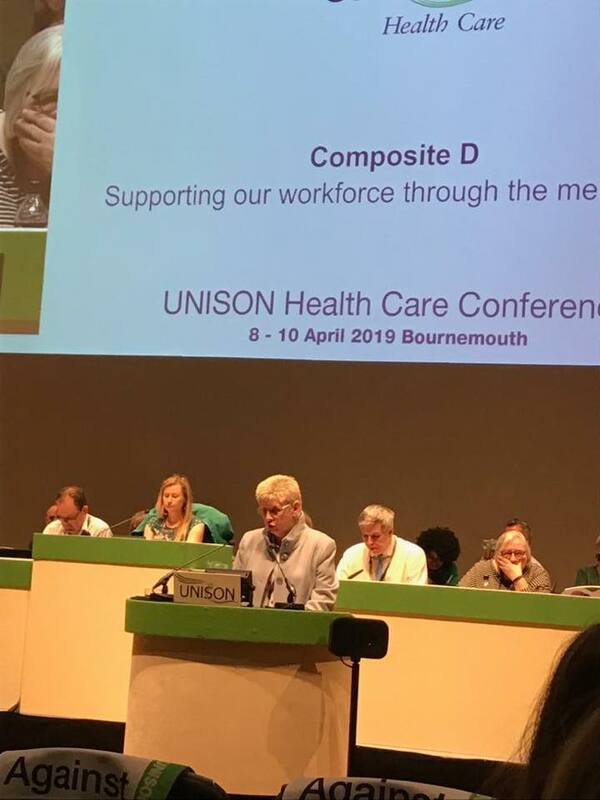 Delegates from UNISON Northern Ireland who work in the health service attended a three day conference in Brighton this week to discuss issues such as equal pay and protecting the NHS. 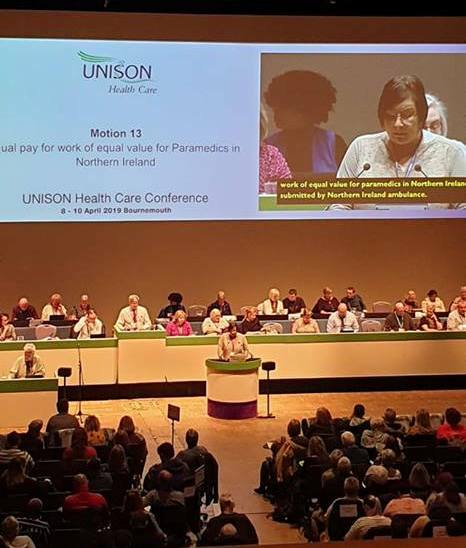 Ann Vannan from the Northern Ireland Ambulance Service Branch spoke about Motion 13, equal pay for work of equal value for paramedics in Northern Ireland, while Northern Ireland regional delegate Edna Magill spoke on Motion 59, A strategic plan to defend the NHS. Jean Getty from the Northern Health Branch delivered a speech for Motion 28, supporting our workforce through the menopause, highlighting the need for staff to be supported during this time and encouraging all NHS employers to apply the NICE guidance on menopause to support the health and wellbeing of staff during menopause. 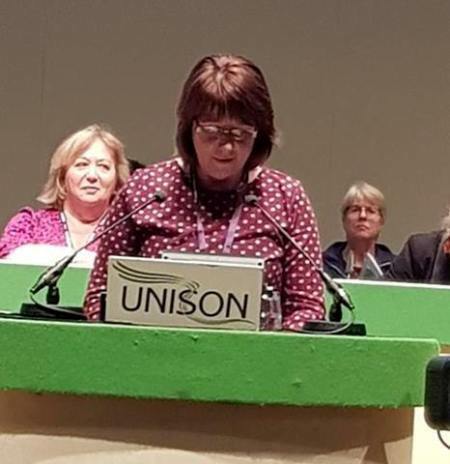 Una Lambe, from the UNISON Omagh and Fermanagh Branch, spoke in support of Motion 66, NHS land is a public asset, arguing that NHS land must only be sold if there is a long term benefit for the NHS and our communities. Connor McCarthty, from the Royal Victoria Hospital Branch in Belfast, spoke in support of Motion 1 at the conference, with a push for no border down the Irish Sea when it comes to pay in the NHS. Aine Brennan, from the Mater Hospital UNISON Branch also spoke in support of this motion along with Maura McKenna from SGE. 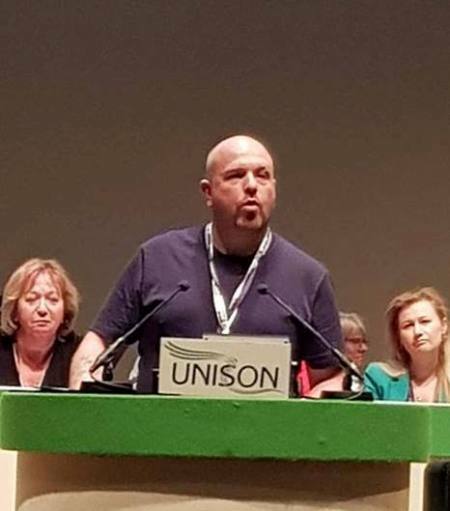 Darren Logan of the Health Agencies Branch spoke about Motion 62, Reorganisation without end: NHS commissioning and the arms length bodies, addressing the never-ending cycle of change and reorganisation that many UNISON members working in health have been put through over a number of years.